MORGANTOWN, W.Va. -The 2018 AMSOIL Grand National Cross Country (GNCC) Series, an AMA National Championship, is pleased to announce an exciting lineup of live musical entertainment presented by Monster Energy on October 26 and 27 at the AMSOIL Ironman GNCC in Crawfordsville, Indiana. The Davisson Brothers Band (DBB) will kick off the weekend on Friday at 8:30 p.m., followed by country music artist and ACA Award Winner, Easton Corbin at 9:30 p.m. on Saturday. 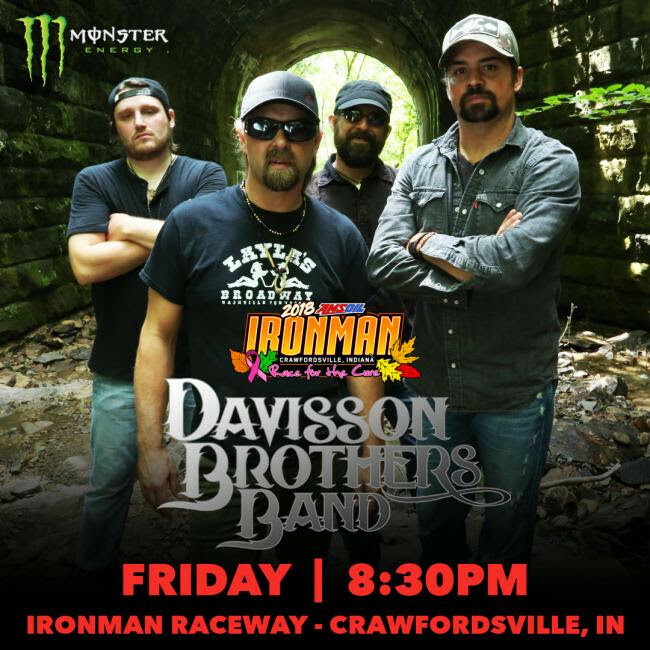 The Davisson Brothers Band have performed at various GNCC Racing events throughout the years, and have proven to be a fan favorite. They are hailed as Rolling Stone Country and have that classic musical foundation as they carry on their West Virginia roots. DBB just recently released their newest album, Fighter, representing their all-American fundamentals of family, self-determination and satisfaction in a job well done. Check out The Davisson Brothers Band's music like "Po' Boyz," "Jesse James" and "Get Down South" on their YouTube Channel. The Davisson Brothers Band will light up the stage Friday, October 26. "What a way to cap off the season with these two great acts," said GNCC Event Director, Tim Cotter. "The Davisson Brother's is the unofficial band of GNCC and Easton Corbin's record speaks for itself. Monster Energy's vision to enhance the GNCC fan experience is going to be unbelievable." With two number one singles, multiple awards and nominations, country music artist Easton Corbin is set to hit the stage Saturday night. Easton Corbin's back-to-back number one songs include "A Little More Country Than That" and "Roll With It" along with his top-five hits such as "Lovin' You Is Fun," "All Over The Road," and "A Girl Like You." Check out more music from East Corbin on his YouTube Channel. It is said that Easton Corbin has one of those rare, outstanding voices that was made for singing country music. Along with his number one hits, Corbin has earned multiple American Country Association Awards along with nominations in the Country Music Awards (CMAs) and Academy of Country Music Awards (ACMs). Admission to each performance is included in your weekend gate admission of $20 for adults and $10 for children (6-11), and kids five and under are free for the full weekend (Saturday through Sunday), with pro pit access and pro autographs at no additional charge. 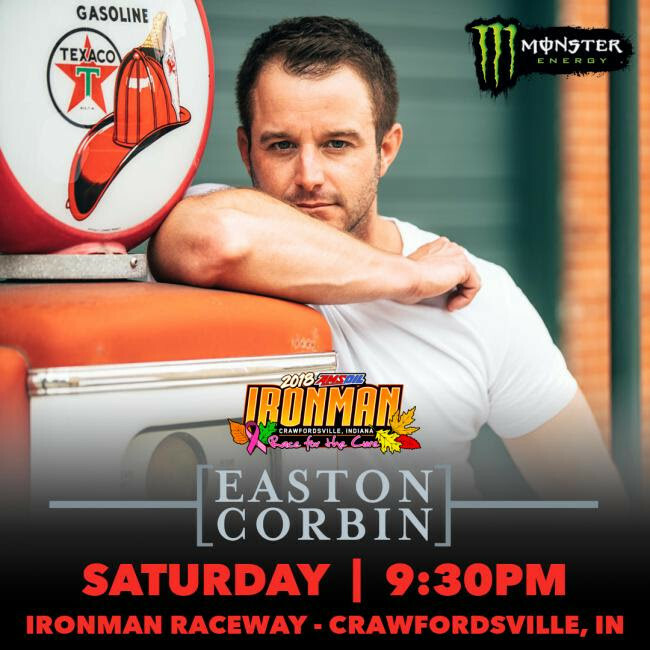 Easton Corbin is set to perform at this year's AMSOIL Ironman GNCC on Saturday, October 27.